Humanity has lived for centuries with the idea of unlimited development in an infinite world. In the 19th century, awesome development of basic industrial methods established the paradigm that “everything’s possible”. Then, as if by compensation, the industrialisation and exponential growth of the 20th century led to a shrinking of our living space: our planet. However, lightning development of sciences and technologies is not solely responsible for this growth beyond the limits of the system. Prices of goods and services no longer reflect the true ecological and social costs. Today, the multiple, sometimes irreversible, effects of this virtually blind strategy are clearly seen as a handicap to humanity’s future development. Yet etymologically, “economics” means managing a house (oikos) and is thus naturally the daughter of ecology: this house being…. our Earth. It must be acknowledged that its meaning has been lost! Under these conditions, “sustainable development” is condemned to remain an oxymoron. this is the belief behind Foundation 2019. 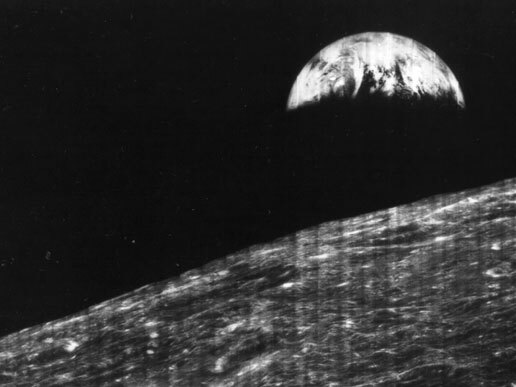 The first image of Earth was photographed on 23rd August 1966 by a NASA spaceship. This photo prompted awareness of our planet’s existence as a system as well as its limits. At 0356 h in the night of 20th – 21st July 1969, Neil Armstrong placed his (left) foot on the Moon. A billion humans followed this exploit in real or near real time on their television screens. Directed at them, Neil Armstrong voiced a sentence that would go down in history: “That’s one small step for man, one giant leap for mankind”. For example, the prospect of planetary warming due to greenhouse gas (GG) emissions by human activity has initiated a new type of measurement: CO2 or CO2 equivalent. Since then, GG have a price, a market, a stock market. The Stern report pushed this approach further by estimating the price of what we might call the foolhardiness of inaction. Monetization of this impact (along with others) is not based on moral thinking, but simply on the originally intended use of money: a universal unit of measurement that is universally understood..
 Kenneth Boulding: “anyone who thinks that exponential growth can last in a finite world is either insane or an economist”. The collapse of the Soviet economic system can be partly explained by the fact that prices did not reflect true economic values. Today’s liberal economic system suffers from a similar handicap: prices do not reflect ecological costs.